This extraordinary balsamic seasoning is produced by artisans located in Castelvetro di Modena. It comes from the finest Lambrusco and Trebbiano grapes, and is aged 5 years in ash barrels, the right time to bring to your meal that typical pleasant acidity flavor. Great complement for your salads, side dishes, cooked or raw vegetables, but but also for meats and fish. Shipped worldwide from Italy. 250 ml wax sealed bottles. 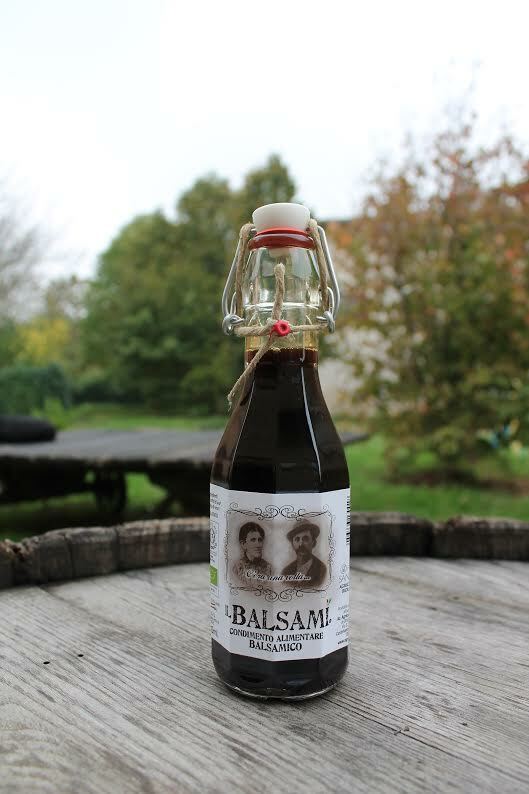 Be the first to review “Organic Balsamì Balsamic condiment from Modena” Click here to cancel reply.